What inspired you to create Recharge: A Year of Self-Care to Focus on You? When my husband became ill nearly a decade ago and we had four small children at the time, I became the sole caretaker of my family. During that period – at least at the very beginning – I was doing everything for everyone else. I was literally giving all my energy away and would go to bed every single night depleted, depressed, unhappy and with hardly a morsel of life left in me. There was a point where I was crying on Christmas morning in my red mini outside the house so the kids couldn’t see me, that I knew something needed to change. And that’s really where my self-care journey began. I decided then and there to take care of myself first so that I could start to like myself again. 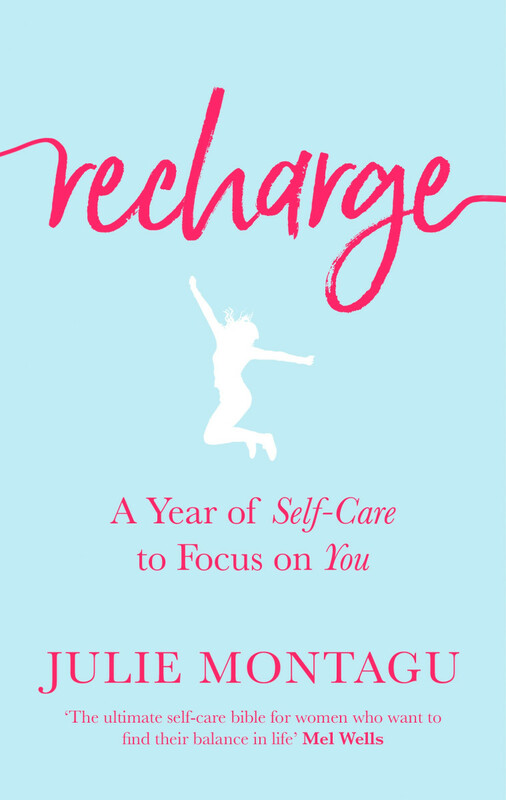 So, Recharge is my journey of self-care over the past ten years, put into a month-by-month self-care bible showing others how I did it and teaching others how they can take care of themselves for a MUCH happier and healthier life. At the end of the day, the longest relationship we have in our life is with ourselves. What is the best way to nourish our bodies mindfully? I truly believe we must use the breath more than we do. It is our superhero power after all. When we breathe for the body, we nourish our cells, our head, and our heart. Even doing ONE minute of breathing has been shown to clear the cortisol from our bloodstream bringing us back to rest and digest, the parasympathetic nervous system. As a busy mom and career woman, how do you manage stress? Two words: Time Management. I look at my diary and make sure to prioritize what really needs to happen and get done and what needs to wait. And taking care of myself each and every day is a priority. So I make sure that I do a yoga class every day, or a good cycle or a good walk with just myself! But I never miss a day of spending time with just me and that for me, makes all the difference. It’s as if I’m slowing down so that I can speed up. It really works. Why do we women have a difficult time learning to love ourselves? I believe that women instinctively feel that everyone else is more important and therefore, everyone else needs to feel better first. Everyone else needs to love themselves and we need to help them do that. We think of ourselves last. As long as everyone else is happy, then we think we will be happy, too. WRONG! The good news is that in this heightened state of wellness really taking over the world, women are now starting to see that in order to take care of everyone else, they must first take care of themselves. What advice are you able to share with modern-day moms about enhancing our happiness and spreading it around? Perhaps what I tell my kids should be my advice for modern-day moms and that is: I’d rather leave a legacy of loving myself as well as helping others than accumulating things.